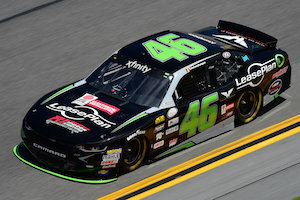 Anthony Kumpen was impressive in his second career race at the Daytona International Speedway, battling for a top-10 finish in the closing laps of the NASCAR Xfinity Series season opener at the wheel of the #46 LeasePlan Chevrolet Camaro fielded by Precision Performance Motorsports. 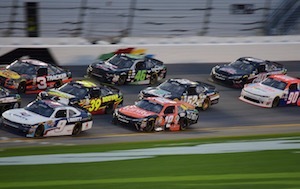 The NASCAR Whelen Euro Series Champion’s excellent run was unfortunately stopped by the third multi-car wreck of the night with 15 laps to go, in which the Belgian was caught while running in the front pack. 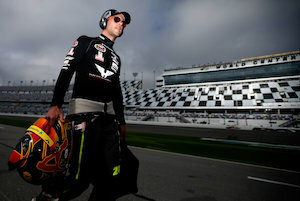 The #46 Chevrolet started overheating forced Kumpen to retire and he was classified in 22nd position at the end of the PowerShare QQQ 300, but he left the speedway extremely pleased with his race. 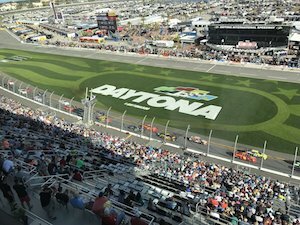 In what was only his second ever race on a 2.5-mile superspeedway, Kumpen proved how effective the NWES Road To Daytona program is in providing NASCAR Whelen Euro Series with the best opportunities to race in NASCAR in the US and all the tools to battle with the sport’s best drivers. 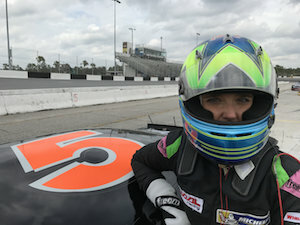 The Hasselt-native will be back in NXS during the summer break of the NASCAR Whelen Euro Series summer break to take part in the August 12 MID-OHIO 200 at Mid-Ohio Sports Car Course and he believes he can take advantage of his European success. 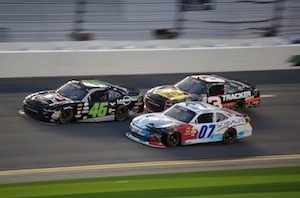 “The NASCAR Whelen Euro Series is doing something amazing with its program. It is the place to be to have chances like this and I can’t thank NASCAR, NWES, Whelen and all the partners enough for the Series and the program. This race is probably the most distant from what we do in Europe, so I am really looking forward to our next US appointment at Mid-Ohio, where we will have our NWES experience on road courses on our side. I believe we can shoot for a top-5 finish,” said Kumpen. Kumpen’s attention will now turn completely towards defending his European crown against the assaults of a competition that gets stronger and stronger, beginning with the April 8-9 season opener at the Circuit Ricardo Tormo in Valencia, Spain. “We want to win our third Championship and if anybody else wants to have this kind of opportunities, they will have to beat us in the NASCAR Whelen Euro Series and I can’t wait for the first race of the season,” smiled the two-time NWES Champion. 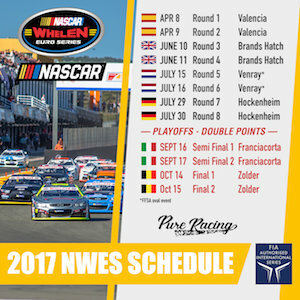 Before heading to Valencia, the NASCAR Whelen Euro Series will return to action on March 3 at the Autodromo di Franciacorta in Italy for the official Prologue of the 2017 NWES season.